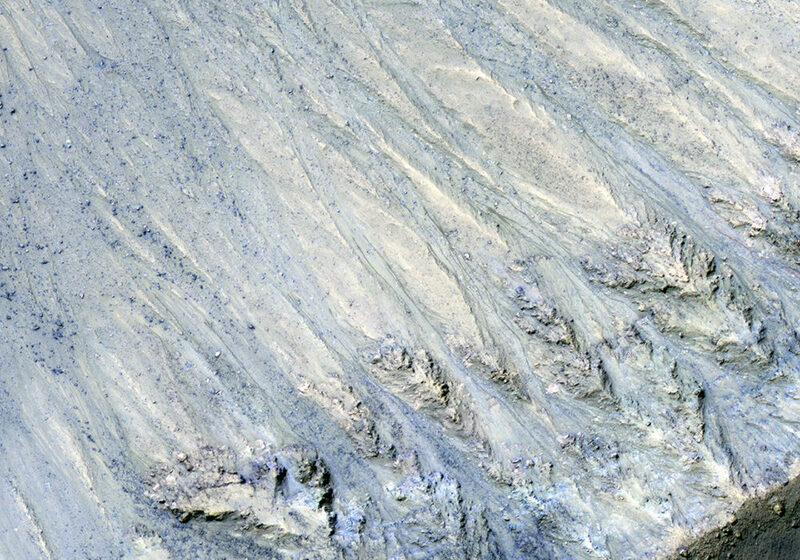 This enhanced color image shows what are called “recurring slope lineae” in Tivat Crater. The narrow, dark flows descend downhill (towards the upper left). Analysis shows that the flows all end at approximately the same slope, which is similar to the angle of repose for sand. RSL are mostly found on steep rocky slopes in dark regions of Mars, such as the southern mid-latitudes, Valles Marineris near the equator, and in Acidalia Planitia on the northern plains. 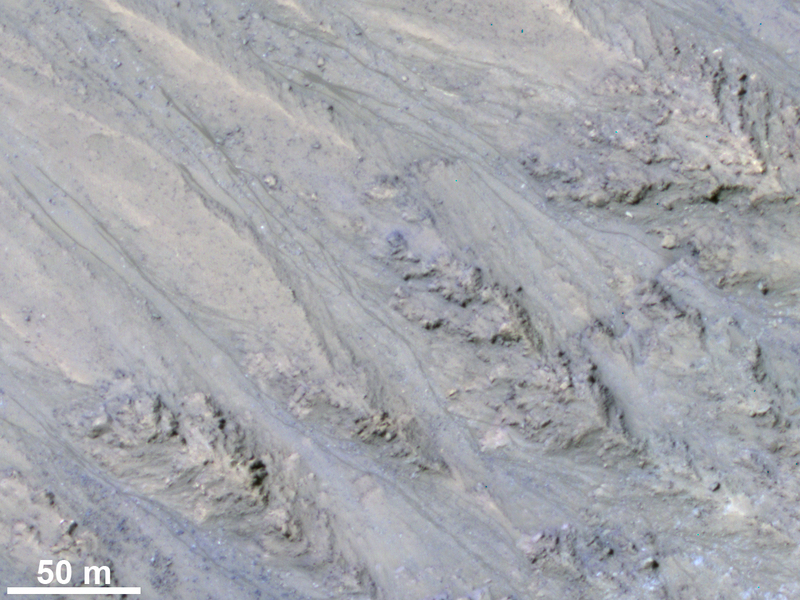 The appearance and growth of these features resemble seeping liquid water, but how they form remains unclear, and this research demonstrated that the RSL flows seen by HiRISE are likely moving granular material like sand and dust. These findings indicate that present-day Mars may not have a significant volume of liquid water. The water-restricted conditions that exist on Mars would make it difficult for Earth-like life to exist near the surface of the planet.